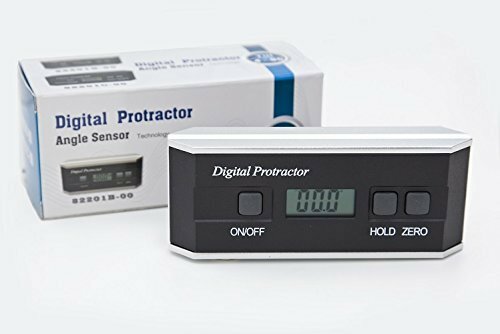 This 3-in-1 digital protractor uses angle sensor technology to calculate exact angles simply by tilting it to the desired angle. The LCD that provides reading that is always displayed in upright position in any angle. 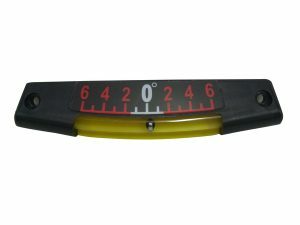 It measure angles within 4 x 90° (0~360°) range. 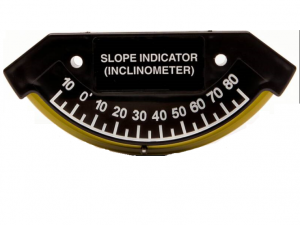 Placing the meter on reference surface zero to measure relative angle gives measured angle result within 0.1° accuracy. 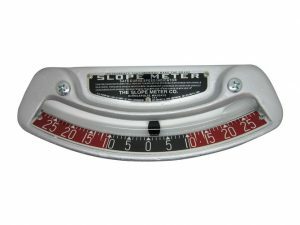 It also has Absolute Angle Measurement to test whether the working surface is on the level to check roof slopes, wheel alignment, etc. 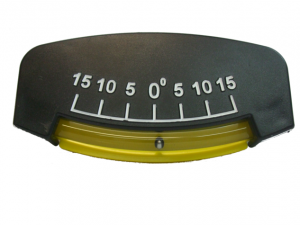 With simple self calibration no other fixtures is needed.